Discover how realistic fights are created for the stage in this two-part practical workshop with fight director Ruth Cooper-Brown from RC-Annie Ltd. 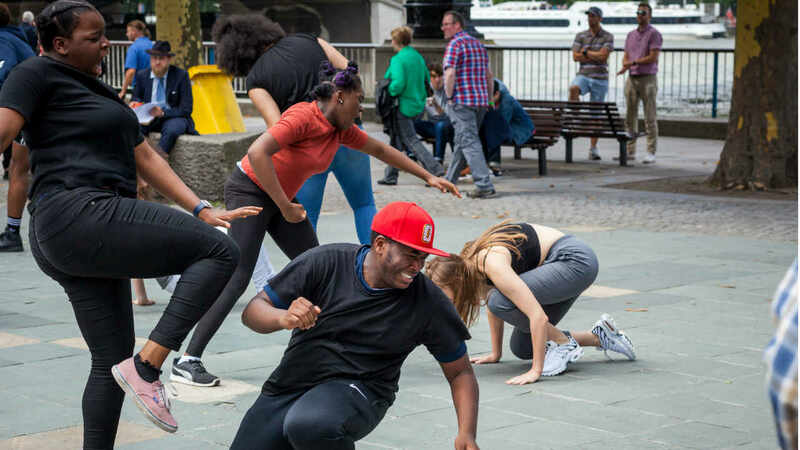 Using techniques and choreography based on the National Theatre’s production of Antony & Cleopatra, you will explore text and character to create exciting and effective violence – the RC-way! RC-Annie Ltd are the UK’s leading dramatic violence company. Established in 2005 by Rachel Bown-Williams and Ruth Cooper-Brown their recent work for theatre includes The Tell-Tale Heart and When We Have Sufficiently Tortured Each Other at the National Theatre, and productions with Shakespeare’s Globe, The Bridge and the Royal Shakespeare Company.